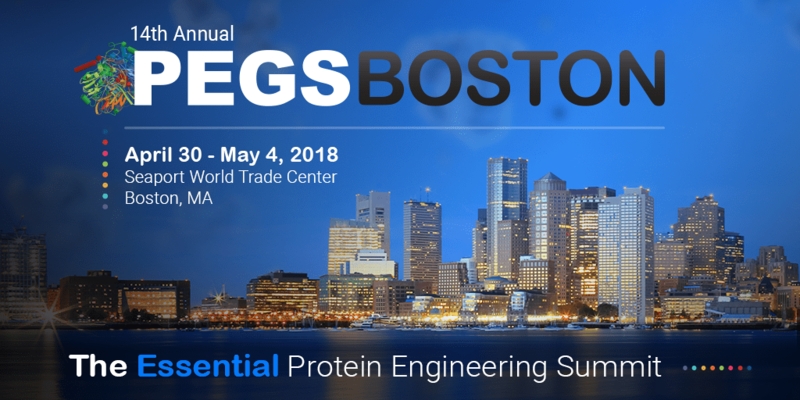 PEGS: The Essential Protein Engineering Summit is one of the industry’s preeminent events for anyone involved in biotherapeutic drug development. The annual conference is always held in Boston, and this year’s summit will take place at the Seaport World Trade Center from April 30 – May 4. At booth number 438, Fluence Analytics will showcase ARGEN, a lab instrument for realtime aggregation and stability analysis. By generating realtime kinetic data, ARGEN enables smarter product development, the early detection of aggregation, and the ranking of protein and peptide stability. The Fluence Analytics booth will also display an ARGEN software demo, and team members will happily discuss applications, answer questions, and present additional content to anyone interested in analyzing aggregation and drug stability. In addition to the booth, ARGEN Product Manager Stephanie McCormick will present a poster during the Protein Aggregation and Stability in Biopharmaceuticals session (Analytical Stream). The poster will explore using ARGEN’s static light scattering signatures to identify and matrix stability conditions while also minimizing aggregation during formulation development. Using ARGEN, typical stability screening and formulation development is completed in weeks! This permits long-term incubation studies for the samples with the highest likelihood of stability success. Anyone interested in arranging a meeting with Fluence Analytics during PEGS Boston 2018 should email info@FluenceAnalytics.com.